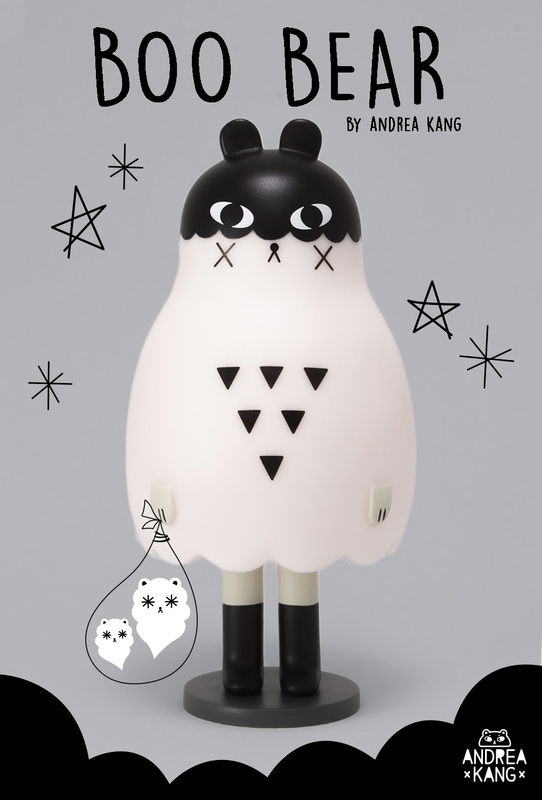 Mighty Jaxx has released its newest designer art toy, and it’s by popular illustrator Andrea Kang! Kang is known for her fanciful art filled with girls, bears, and creatures. She explores nostalgia and the blurred lines between dreams, reality and memories. 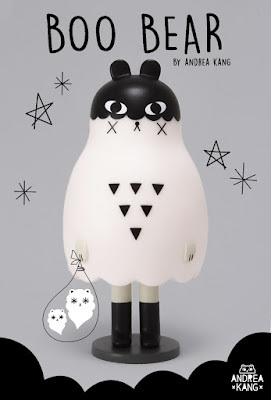 The newest addition to Andrea’s mesmerizing body of work is the Boo Bear vinyl figure! Limited to just 200 pieces, the Boo Bear vinyl figure stands 5” tall, includes a removable base and comes packaged in a full color window box perfect for display. Collectors can purchase this awesome new figure at the Mighty Jaxx online store now for just $40.